Heavy Pest Infestations? Suffer No More. Tired of DIYs? Get Professional Pest Control Services. Quality Clean is a leading name in the pest control industry offering you quality services for pest removal and control. Working for more than 10 years in the niche we have earned the skills, experience and reputation. Whether there is the infestation of flying pests, crawling pests or rodents, we can make their way out of your place in no time. 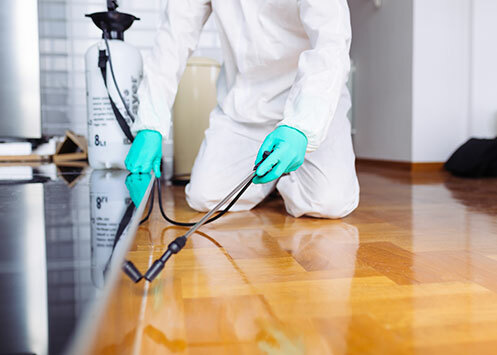 Hence, if you are looking for an experienced pest control firm in Melbourne, Brisbane, Adelaide, Canberra, Sydney and Perth, look no further than Quality Clean. Plus, the pest control services we offer are affordable and eco-friendly. Call us @1800 441 506 for instant booking. We at Quality Clean offer quality services at an affordable price. While we are offering you affordable services, we do not compromise on the quality. It’s affordability and quality that makes us one of the most famous pest control company in the field. Hence, when you are looking for an affordable pest control firm, call us today. Quality Clean keeps its customer's health at the top of its priority list. Thus, we do not use harmful chemicals in the eradication of pest from your property. Unlike other pest control firms, we make sure that our the chemicals we are using in the treatment are not harmful to the kids. So, when in the hunt of safe and green pest control methods. The team of Quality Clean is easily approachable. We understand the value of your time, thus, we offer same day services as well. Besides, we know heavy infestations can lead to an emergency situation, that need same day treatment. The residents can avail us on weekends as well on the public holidays.